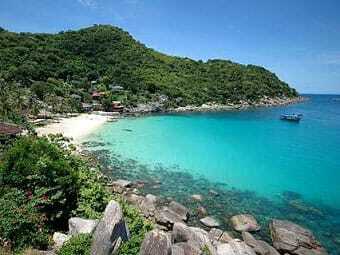 BLOG Koh Tao Travel Guide: Where To Go, What To See! The Ultimate Travel Guide to Koh Tao! When I moved to Thailand, after my crazy engagement in Bali, I settled down in a small village near Chumphon, only 2 hours away from Koh Tao. Needless to say, it was very easy for me to reach this fantastic island and I’ve been there so many times that it has become my second home. 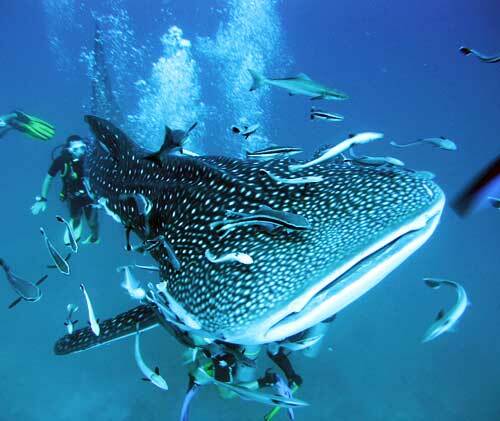 If you came here for diving in Koh Tao, check out these tips to Diving in Koh Tao. Why go to Koh Tao? Want to add to this guide? Really enjoyed a specific place or activity? If you have any suggestions to add, please feel free to share it in the comment section and I would gladly incorporate it within this guide! Safe Travels! For those of you who know a bit about my background, you are well aware on how difficult it is for me, coming from Sardinia, to find a place whose sea and landscapes can measure up with my beautiful island. 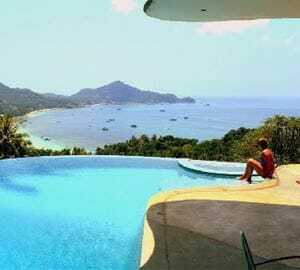 I started my trip in Thailand, which is famous for its pristine waters and wonderful beaches. I visited many well-known sites (Phi Phi Island, Koh Pagnan and Ko Samui) and I certainly appreciated them, but they didn’t have the WOW factor. I know I know, I’m VERY SPOILED when it comes to rate beaches, but if you took a moment to check my link about Sardinia, you understand why! The first time I decided to visit the island, I was expecting a very quite spot, filled with scuba divers and not much more than that: things couldn’t be further from reality! Koh Tao is not only one of the CRAZIEST islands I’ve ever seen, but also offers wonderful landscapes, beautiful pristine beaches and hidden bays and some of the most amazing sunsets I’ve ever seen in my life! Oh, and let’s not forget about the snorkeling and immersions spots full of colorful coral formations. All this for a dirt cheap price! So, is Koh Tao just a “party island” like Koh Pangnan? Not at all! If you are not interested in the party scene, there are plenty of quieter spots away from the crowds. Koh Tao definitely has it all! 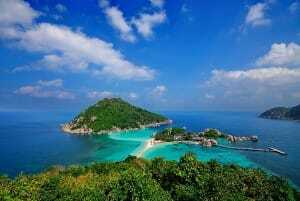 So you want to travel to Koh Tao, meaning Turtle Island in Thai, one of the world’s most beautiful tropical islands. Popular for diving, amazing beaches and incredible sunsets. How to get to Koh Tao from Bangkok. Thailand has some of the best public transportation systems in the world. It is so easy and simple to get around and you can book tickets and get taxis nearly anywhere. Out of all the above, I would recommend taking the train. It is easy, comfortable and relatively cheap. Want to take the train? Taking the train is very easy, seeing that with the new Airport Railway Link, you can now get to the Hua Lamphong train station directly from the airport as soon as you land. You can get the Airport Rail at the bottom floor of Suvarnabhumi Airport. Go to the ticket counter and ask for a ticket to Chumphon. There are eight trains leaving daily for Chumphon. The first train departs at 08:05am, while the last one departs at 18:30pm. Click here to get a detailed Train Time Table of Thailand. 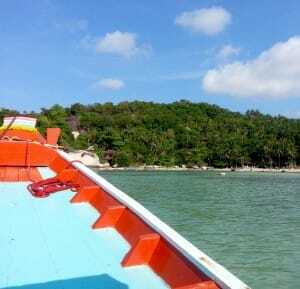 Another benefit of the train is that when you arrive in Chumphon the offices of the Lompraya Catamaran to Koh Tao is located right next to the station. You also get the bus from the train station to the ferry. Everything in one spot. Depending on when your train arrives at Chumphon station, I would recommend booking a ticket through Lomprayah’s website before you go to Chumphon. The price of the train ticket, depending on the class, will cost between 400 – 1200 baht ($12 – $36) . I would personally recommend the 2nd Class air-condition sleeper train if you prefer taking the night train. Otherwise a seat is also a good option for during the day as you can enjoy the view of the country side from. Depending on the season or how far in advance you book your ticket, a domestic flight from Bangkok to Chumphon starts from 1200 baht ($36) one way. Then once you arrive at the Chumphon Airport, you will have to find a taxi to take you to the train station. This a good option if you are short on time and want to reach the island as soon as possible. Feel like taking the bus? If you want to take a bus to go down south of Bangkok, you will need to make your way to the Southern Bus Terminal. From there you can buy your ticket and make your way to Chumphon Bus station. You will need to get a taxi to the train station where the bus will pick you up to take you to ferry, or book a ticket at the Lomprayah offices by the station. 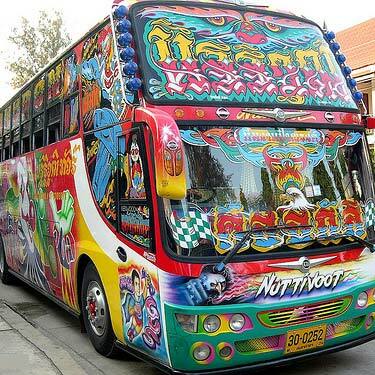 The bus tickets starts from 400 baht ($12) and can go up to 1000 baht ($30). Located above Sairee beach, these amazing villas offer the peace and tranquility of being up the mountain and close enough to join in the festivities down by the beach. Located right on Sairee beach, this is a great place to relax, but also just a walk away from the night life. Get back to nature and serenity in your own private villa. Situated on a hill with an amazing view of the island, this is a perfect option for a romantic getaway or family holiday. Beautiful Villas and well looked after garden! Located close to the pier, this hostel offers great design, clean rooms, and friendly staff. 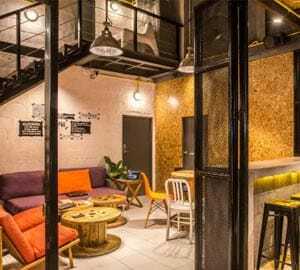 Perfect for solo travelers who wants to meet people. Easily accessible arriving in Koh Tao. Long Tail Boat trip around the Island! You will have two options when looking for a trip around the island. The big commercial boats or the small long tail boats. The big commercial boats are, well big, meaning they take more people, and are a bit more organized. Usually they will organize you delicious lunch as well as all the gear you will need to go snorkeling. It runs on a timed schedule that takes you to all the main snorkeling spot and places to see. It is a good option if you want to meet new people, have limited time and just want to see a bit of everything. The long tail boat on the other option and is one of the best ways to explore The Turtle and all its hidden bays and beaches. The boat journey itself is quite an adventure as you get to ride a traditional boat with only your friends or family, soaking up the sun and just enjoying the moment. Seeing as it is a private boat, you can navigate the captain to stop off at any of the beautiful bays, and ask him where the best snorkeling spots are. This is their job, so they are usually more than happy to show you. When you get to a bay with too many people, you can just move along to find a less crowded bay. If you get tired and feeling a bit hungry, you can ask the captain to stop at one of the beaches where you can hop off to go fill your stomach. The long tail boats can get right onto the beach, so you can get a bite to eat a restaurant or have a relaxing drink at a beach bar. If you feel like stopping, you can bring snacks and drinks along on the boat to enjoy in a beautiful bay. Where can I get a long tail boat? Just walking along Sairee beach, long tail boats can be hired all along the water’s edge. Most of the time the driver will come looking for you. They are always keen to take you out on their boat, but if you want to do an around-the-island-trip, you will have to go early, as it is a day trip. You can organize with the captain to meet you somewhere the following morning so you can get to the snorkeling spots before most of the commercial boats do. Also ask the captain if he supplies any life jackets and snorkeling equipment. If he doesn’t, he can easily arrange some life jackets from another captain, as for the snorkeling equipment, it can be hired basically anywhere along Sairee beach or dive shops. If say that he do have some masks, snorkels and flippers, try them on first, as they might not fit or be comfortable for the day’s adventure. Remember to take sunscreen and water with you on the boat, as many do not have a cover to protect you from the sun, and you dehydrate more than you think while snorkeling. Big boat: The big commercial boats will cost around 600 baht ($18) per person. The price includes food and drinks and all the equipment you will need for the day. You can check with your resort, as maybe they can organize a special price or have any deals with the boat companies. Long tail boat: Seeing that it is a private boat you can barter for a better price, but usually it will cost you around 2000 baht ($60) for a day. This is for the boat, so you can split it amongst your friends which make it a pretty good deal. The boat can take about 6 people. If you have to hire snorkeling equipment, it will cost around 250 baht ($7.50) for the day. Make sure the mask fits you comfortably, as they can hurt the bridge of your nose after long snorkeling sessions. 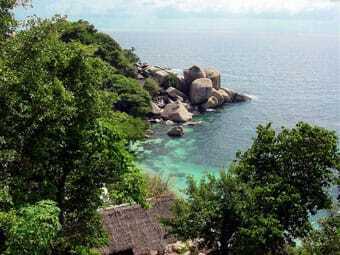 Located on the South East side of Koh Tao, Ao Leuk is a quiet bay away from busy Sairee beach. With its pristine beach and turquoise water, it is perfect for a peaceful getaway. 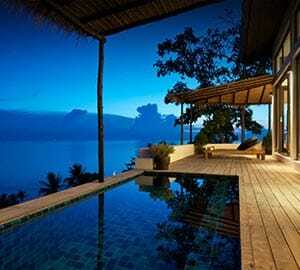 Located on the East side of Koh Tao, Laem Thian is a private bay owned by Laem Thian Resort. It is a beautiful bay and black tip sharks are occasionally spotted. Also known as Shark Bay, not to worry, they are not dangerous, this bay brags with one of the most beautiful and quiet beaches on Koh Tao. It rarely gets busy and is perfect to get away and enjoy sun. Why to dive and snorkel in Koh Tao? Let’s dive right in why don’t we? Koh Tao is ranked #2 in the world for getting certified for diving. There are two reasons for this, first being it is one of the most beautiful places to scuba dive on this planet, and secondly it is super cheap compared to any of the other countries. You will get the change to dive in one of the most beautiful areas in the world, experience tropical island life, and on top of that get certified for diving anywhere else in the world. It is very rare that you can get such an all-in-one package for a cheap price. For tips on getting certified for scuba diving, click HERE! Fire Dancers entertains the crowds! After a long day of relaxing on the beach, snorkeling or just exploring the island, you can enjoy a nightcap watching the sunset at one of the numerous bars and restaurants along Sairee beach. It is an amazing way to end your fun-filled day, or just relax and unwind. Koh Tao has quite a few night time festivities up its sleeve, especially on the famous Sairee Beach. It is very easy, maybe too easy, to turn your nightcap cocktail into a Thai whiskey bucket, and then into a wild night out. 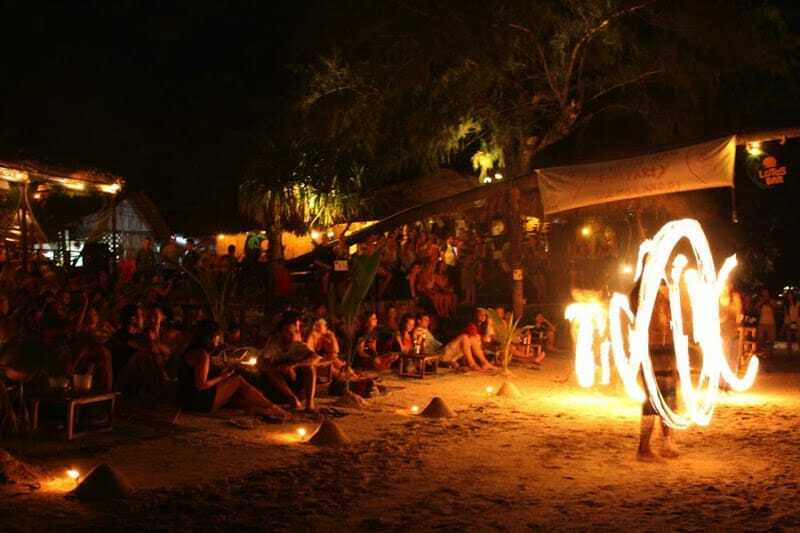 There are lots of upbeat bars along Sairee beach where fire dancers and DJ’s bring their best shows. Professional DJ’s from all over the world come to Koh Tao to entertain the crowds. Slightly less wild than Koh Tao’s bigger brother, Koh Phangan, who is well known for its monthly full moon parties, the Turtle has a wide variety of bars and lounges to choose from. Just sitting with friends on the beach enjoying a cold drink and soaking in the tropical atmosphere, or dancing the night away into the early morning. The choice is yours. For the sports lovers, there are always places showing live sports, and some even have movies schedules if you just feel like enjoying a movie. Most of the bars have pool and snooker tables, as Thai people really enjoy a good game of snooker. Keen for some great entertainment, be sure to go check out the Queens Cabaret show. It is quite difficult to miss as you will notice the “lady boys” all dressed up walking the streets handing out flyers. The shows usually starts around 10:30pm and is something really different to experience. You will notice lots of signs that reads “Laughing Gas”. If you are keen to experiment, why not give it a try. As they say, laughter is the best medicine. Watch the sunset while enjoying music and a Thai whiskey bucket or cocktail. 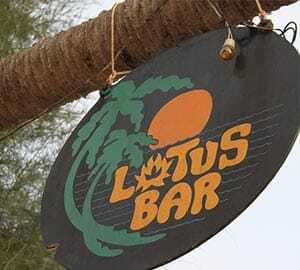 Lotus bar is the place to go if you want have a good party at night. The parties usually go into the early mornings, with interactive fire dancers that will yet you jump rope that is set on fire. After the party there is usually a pool party that you cannot miss if you walk into town from Lotus Beach bar. Located on Sairee Beach, relax during the day on sunbeds with great music and food. If you get a bit bored of lying on the beach, Maya also have rafts floating in the ocean to go enjoy a drink as you gently rock up and down by the swells. 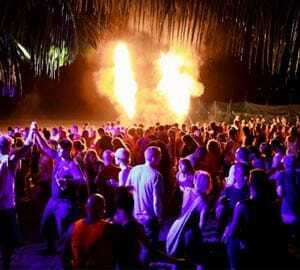 At night you will be entertained by fire shows and local and international DJ’s playing their best sets. 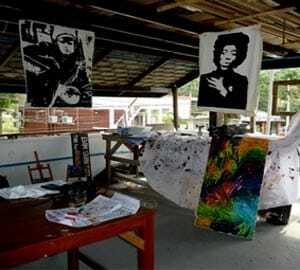 Enjoy a glass of wine while getting creative and socializing at this open community gallery. Every night there is an open mic jam session where anyone is welcomed to go sing. They also offer art classes for all ages, have mad hatters tea and paint parties on Tuesdays. Great place to just relax and enjoy the music and even get a little creative. Go and experience the world famous Thai Boxing (Muay Thai) on this little tropical island. 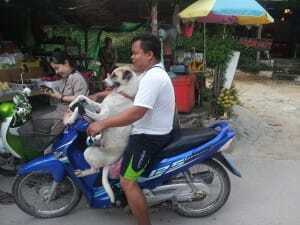 Also a frequent entertainment option in Koh Tao, but times do vary, so keep an eye open for flyers being handed out at bars and in the streets. There are usually also cars with loud speakers announcing the upcoming fights. Be sure that you can ride a motorbike and feel confident. The roads to some of the more secluded parts of the island can be very difficult to navigate and dangerous. In Thailand they drive on the left hand side of the road, so turning right you will have to cross the road. The going rate of hiring a motorbike is between 150 – 250 baht (5 – 8 USD) a day. Presenting a driver license is usually not required, and please wear a helmet when riding. Just walking down the street you will notice numerous tourists with bandages and scars from motorbike accidents. So please be careful. It is becoming more and more popular to hire a mountain bike instead of a motorbike. It is a great way of getting around the island, exploring places where motorbikes can’t as well as getting some exercise. The risk is way less as you can only go as fast as you can go, and it is easier to navigate than a heavy motorbike. Find a map of the island and prepare a trip for the day. You will be surprised on how many vacant bays you might find on the mountain bike or on foot. Beautiful views, real jungle experiences are only but a few pros of going by foot or bike. Remember to be prepared when you set off on an adventure by foot or mountain bike. Take enough water, sun screen, snacks and mosquito repellent, because when that sun starts going down, the bugs come out to play (especially the mosquitos!) Also, when traveling/exploring the island, be it by foot, bicycle or motorbike, take a friend with you. It can be quite dangerous as there are high cliffs and heavy jungle to get lost in. BEWARE OF THE MOTORBIKE SCAMS! Me enjoying the AMAZING sunset on Sairee. Koh Tao is one of the best places in the world where you can enjoy the sunset on the beach, while enjoying an ice cold cocktail or beer. Definitely one of my favorite places in the world! You can relax with friends under the palm trees as the sun sinks behind the horizon, giving the sky and the beach an amazing golden glow. You will sit in awe as the sun kisses the sky goodbye. Sairee beach is located on the west side of Koh Tao. As mentioned before, there are beach bars, resorts and hotels scattered along the beach, so you will not have any trouble finding a place to sit and enjoy the mesmerizing sunset. High Bar (pun intended) is a reggae bar that is located a bit further from Sairee beach, as it looks over Chalok Ban Bay. They serve amazing food as well as some mean cocktails. You do not see the sun set over the ocean, but rather behind the island, which is unique and beautiful in its own way.High bar is actually also set quite high up the mountain, so be ready for some steep steps. Sunset View Bar is located up on a steep hill off the road running between the pier and Sairee beach. As the name suggests it is an amazing place to experience the sunset, as the view covers most of the western side of the island. Enjoy some life music from the staff as you sip on a cold drink and chat away with the fellow travelers. Beautiful Koh Nangyuan from the viewpoint. 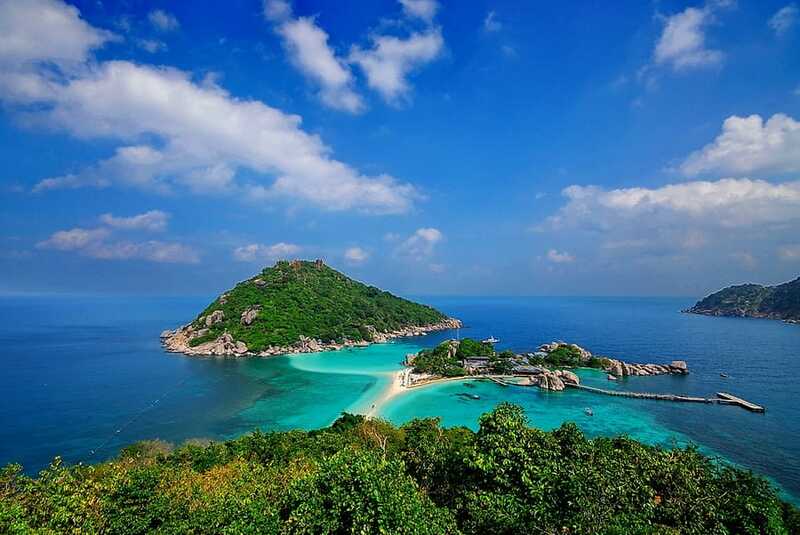 A mere 15 minutes away from Koh Tao is a little island called Nangyuan. Consisting of 3 little peaks linked together by a beautiful white beach, this is really a picture perfect paradise. Below the aqua colored ocean surrounding the shore there are beautiful coral gardens inhabited by thousands of fish. 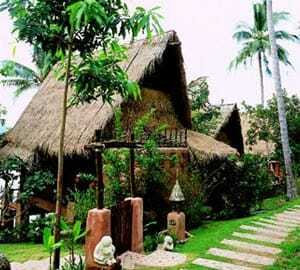 It is a private island with only one resort, Nang Yuan Resort, which is on the more expensive side. Seeing the amazing island it’s on it is quite understandable. Staying there you will have the possibility to have the whole beach to yourself before the day trip crowds arrive. The most southern island of the three, ironically called South Island, contains one of the main attractions of Nangyuan, the viewpoint. It is about a 20 minute hike up a lot of steps and along the way you will have to climb over a few big rocks. It is clearly marked, just follow the signs that reads ‘Viewpoint’. However, do not be scared off by this, because it is definitely worth it. Arriving at the peak, you will be greeted with an absolutely stunning view of the whole Nangyuan Island with its incredibly white beaches. It is a perfect place to take pictures and capture this tropical Island in all its glory. Try going later in the afternoon before your boat heads back. It will be way cooler with a less crowded beach for your photos. Koh Nangyuan has one of the best snorkeling locations around the Koh Tao area. The Japanese Gardens has amazing soft and hard coral formations living among huge granite boulders. You will also see a variety of anemones and colorful aquatic life. With its sloping sand bar and shallow bottom makes the Japanese Garden suitable for beginners and a great place to build up confidence. Getting onto the island will cost you 100 baht (3 USD) for the day, and remember that no plastic bottles are allowed, as they are only using recyclable glass bottles. So all beverages and food will have to be bought on Nangyuan. For the low budget traveler, this island is quite expensive, but if you are willing to pay all the fees you will have a wonderful experience. Many tourists say that Nangyuan is a “tourist trap”, because you basically have to pay for everything. It is 100 baht to rent two beach chairs for the day, 50 baht to use the showers, 50 baht for goggles and snorkel and the restaurant is also quite pricey, being the only restaurant on the island it can afford to be. What are you waiting for? Buy those plain tickets, pack them bags and come have your own slice of paradise! 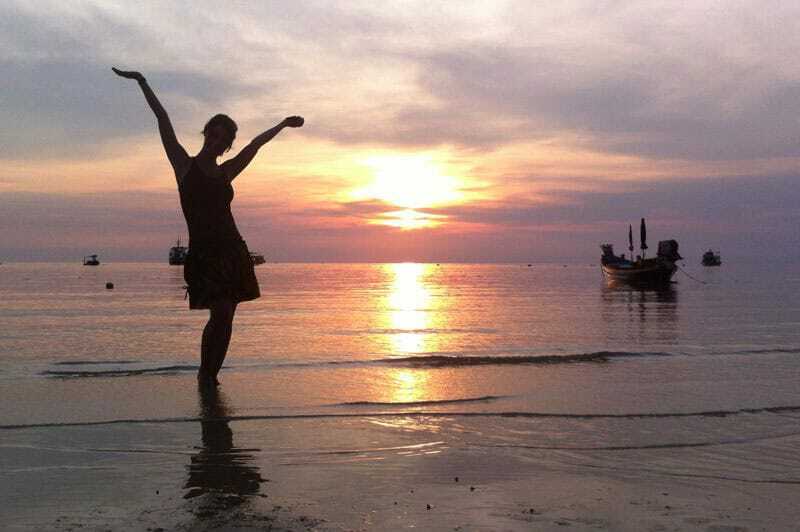 your article really makes me put Koh Tao in my top 3 destinations for next year! I have a friend who recently went diving there, she absolutely loved the Sail Rock () and generally the whole island. I just got my PADI Open Water certification and I’m so eager to explore more of the wonders of this incredible planet! Great Guide!! Thanks 🙂 Making my way to Koh Tao next month. Any updates on good accomodation? https://en.wikipedia.org/wiki/Happy_Air Happy Air doesn’t fly anymore. Nice tips! Me and my boyfriend will go on feb, still a bit struggling about how to get to koh tao from Bangkok as bus+ferry looks like the best option however, so looooong trip it will be! Awesome stuff! You are my guiding angel. Thank you so much. I am moving to Koh Tao on Oct 1 and I am so glad I stumbled upon this post. Thanks so much I appreciate your extensive advice! do you have any tips for accommodation? I saw some amazing sunsets from Sairee beach when I stayed on Koh Tao too but definitely preferred the quieter Shark Bay on the southern tip of the island which was great for snorkeling. Tanote Bay on the east coast too, which is great for sunrises if you can force yourself out of bed early enough! Are you living in Thailand now or are you still ‘on the road’ and are you still updating the blog?